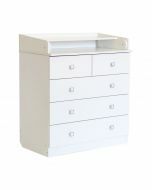 The Kidsaw Kudl Kids 1270 dresser comes in a timeless style and offers a large support surface for your child with generous storage space for all necessary care utensils. With two doors and an open storage compartment you have everything at hand. 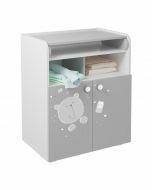 The Kidsaw Kudl Kids 1270 dresser comes in a timeless style and offers a large support surface for your child with generous storage space for all necessary care utensils. With two doors and an open storage compartment you have everything at hand. 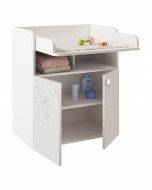 Convince yourself of the solid and high-quality workmanship and stability of the 1270 changing table and combine the clean lines and discreet colouring with existing furniture or combine the chest of drawers with other products from the Kidsaw Kudl Kids range. 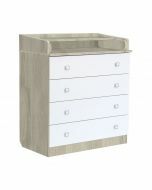 Product Dimensions H.92 x W.48 x D.80cm.